Ansel Elgort attended the 2014 MTV Movie Awards at Nokia Theatre L.A. Live on 13 April 2014 in Los Angeles, California. The American actor wore a black tuxedo jacket with black satin lapel from Saint Laurent by Hedi Slimane. He wore the jacket over a black silk crepe shirt, matching wool gabardine trousers, grey silk tie and black Duckies boots, all from Saint Laurent by Hedi Slimane. 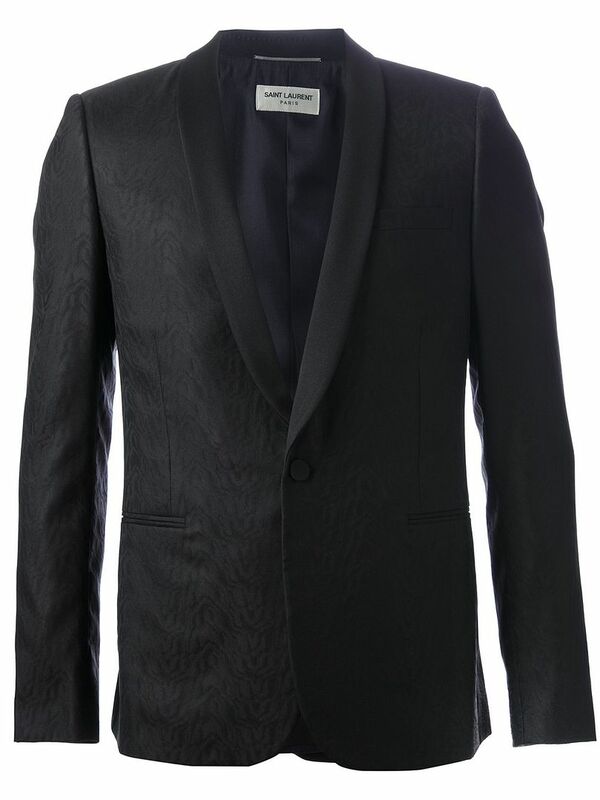 The tuxedo jacket featured subtle tonal patterned effect which comes to life under brighter lighting. A good look on the young American actor, and the buckle detailed boots added a nice finishing touch. I would be tempted to drop the grey tie, but it was a good look nonetheless. You can shop the Saint Laurent blazer in the same tonal patterned effect (with a shawl collar) online from Farfetch.com. 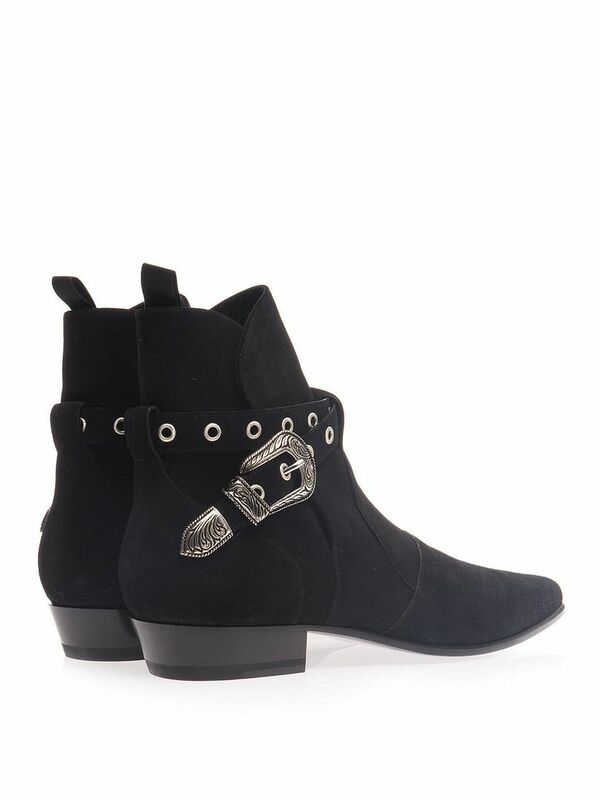 You can shop the Duckies boots online from MATCHESFASHION.COM.